Hours of Operation 7.00 5.00 Monday through Friday, Saturday by appointment. Still-One Automotive Restorations specialise in classic vehicle repair and restoration to original factory specifications. 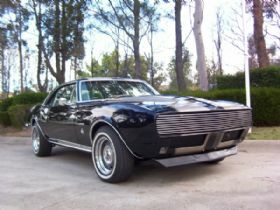 They have an enviable reputation built on their attention to detail, knowledge, experience and skilled craftsmen resulting in concourse quality restored vehicles. The company was founded in 1989 by Michael Stillone and has been trading from 22 Berry Street Granville from the companys inception. 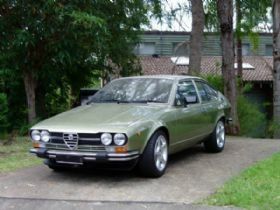 Michael started in the automotive industry in 1973 as a panel beater and spray painter working for Alfa Romeo. In his early years he was involved in building boats, honing his skills in fibreglass and aluminium fabrication, which was to be of great assistance in the future repairing and restoring classic vehicles. Michael is committed to his trade, business and customers and he and his son Joseph have assembeled a team of tradesmen who are also deeply commited to thier craft. There is five staff at Still-One Automotive Restoration and they are all car enthusiasts and members of a variety of car clubs. Each individual gets involved in all aspects of a restoration and although some specialise in certain areas everyone pulls together to ensure a top class restoration is achieved in a timely fashion. Collectively there is over seventy years of experience and knowledge between the team and they all share similar levels of professionalism and enthusiasm for what they do, how they communicate and the classic cars they deliver back to customers. 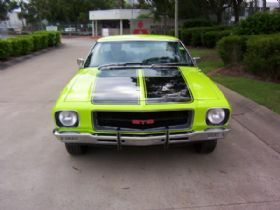 Still-One Automotive Restoration oversees every aspect of your restoration and will project manage some elements with reliable companies they have worked with for many years. In house they provide full restoration capabilities including paint, panel, rust repairs, chassis and body alignment along with fabrication in metal, fibreglass or aluminium. The workshop is large, bright and airy and can comfortably hold up to twelve cars although most of the time they choose to work on four to six projects at one time allowing easy access and the necessary space to get in and get the job done. There are various hoists, a paint shop and individual work areas that provide plenty of space for a full body off restoration. The knowledge gained from understanding classic car owners expectations of a restoration company has led to the delivery of a range of services for current and future clients. Still-One Automotive Restoration provides a full service and will take care and responsibility for every aspect of the project. The team is also very focussed on the final result and turnover more restored cars by being organised, having the space in the workshop to perform all related tasks and utilise their combined knowledge and experience with their suppliers, partners and staff to get the car back to their owners on time. On a daily basis there are many digital images taken of each step of the restoration and the work performed and every invoice is fully detailed in the same manner. Every aspect of the job including parts, labour and what was done in explicit detail is shown on the invoices. All the parts that have come off a customers car are kept until the customer views them and understands their part in the restoration process. Customers can then choose to have the parts thrown out or take them home. 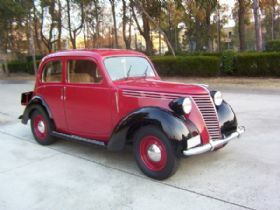 Over the years Still-One Automotive Restoration has worked on a wide array of classics from all corners of the globe. Although Michael has a clear passion for Alfa Romeo the team has weaved their magic on Aston Martins, Jaguars and all the big name European marques that you would expect. American Muscle cars including Corvette, Camaro and Mustang have all been restored and there have been numerous historic racing cars including classic Grand Prix cars . 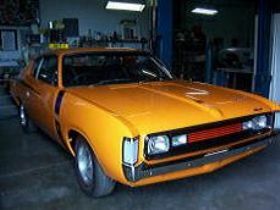 At present the shop is seeing an influx of Australian muscle cars and the legendary Ford, Holden and Valiant sixties and early seventies models have all been restored by the master craftsmen in the workshop. There are numerous classics owned amongst the staff of enthusiasts including BMW 2002s, various models of Alfa Romeo and others in various forms of restoration. Michael and Joseph are members of the Fiat and Alfa car club. If you are after a concourse restoration by a team of craftsmen who can provide many outstanding customer testimonials give Michael and the team a call on (02) 9637 8184.